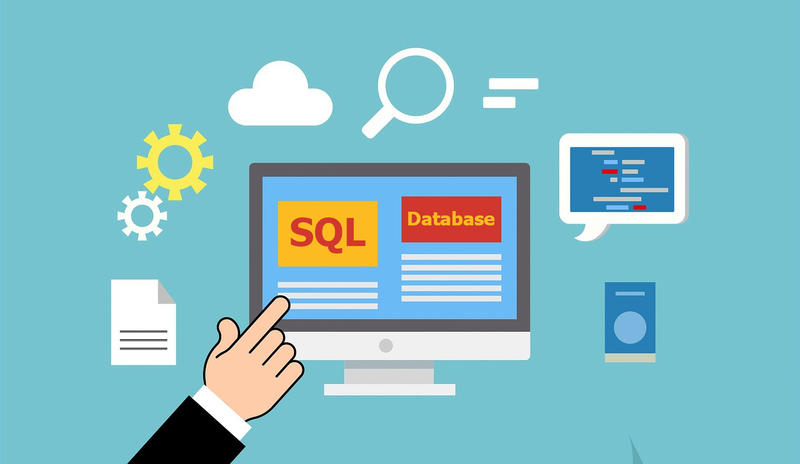 Our free SQL Multi-Exporter allows the user to connect to a SQL Server instance and by issuing a query against a database, export the results to an XML, CSV or HTML file. 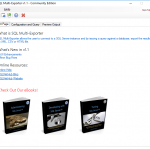 SQL Multi-Exporter provides a rich set of export options. The user can export the query result’s to XML, CSV and HTML. 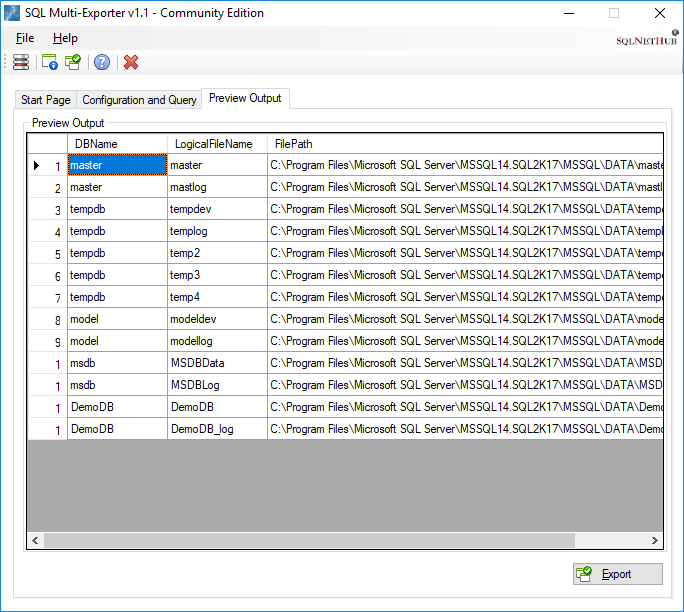 After you write your data export T-SQL query, you can preview the output records, prior to export them. 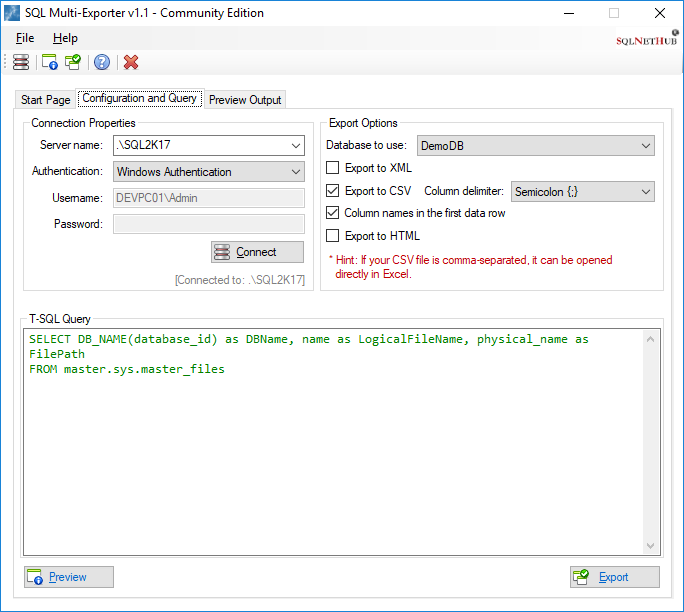 The user just connects to the SQL Server instance, writes the T-SQL script, and can preview the results of the query prior to export it. Why we Built SQL Multi-Exporter and How Can it Help You? There are times where you just want to run a query against a SQL Server instance and generate a report with the results. 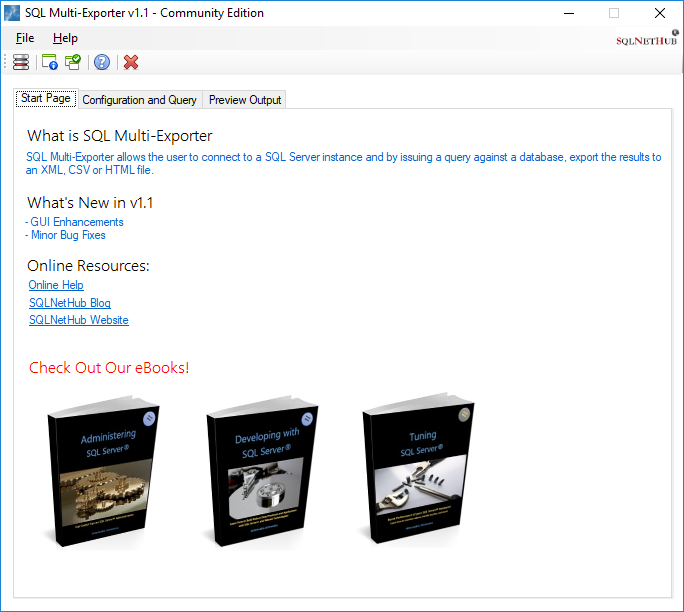 We created SQL Multi-Exporter to help you do just that. 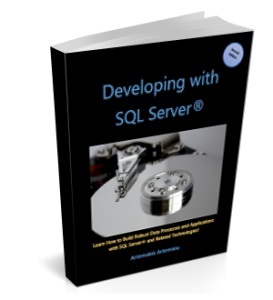 You connect to a SQL Server instance, execute the query and export the results to XML, CSV, or even HTML. 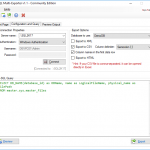 SQL Multi-Exporter (Community Edition), is a free tool, offered with respect to the worldwide SQL Server community. 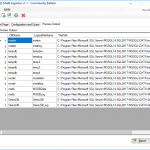 * SQL Multi-Exporter, up to version 1.0 was released under the brand name “SQLArtBits”.